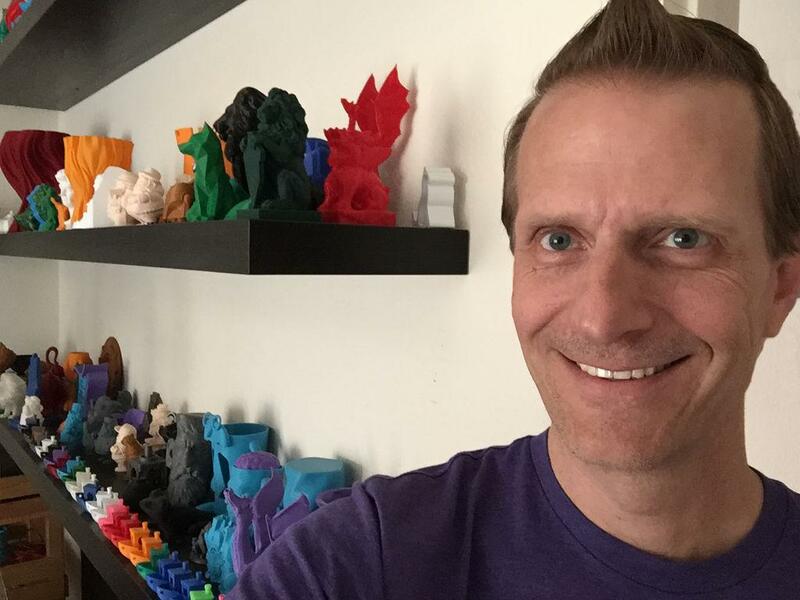 Jeffrey R Wright, an experienced 3D printing enthusiast and YouTuber, began an ambitious #3DP365Project on his Print 3D Channel. He pledged to make a print a day for a year, starting from the 1st of January 2017. We feel it might get him into the Guinness book of records as no one has done this before. At the time this blog was written Jeffrey was 3D printing his 118th make. As a proof of his hard work, Jeffrey makes a YouTube video every day. He constructs his videos as mini tutorials showing Simplify3D settings and going through the process. We found some of his tips quite useful. As Jeffrey explained in one of his videos, he was inspired by a photographer on www.365project.org who posted his pictures daily throughout the whole year. He adopted this idea and applied it to 3D printing. All of his objects are printed with gCreate gMax 1.5XT+, that has an impressive build volume of 16″x16″x21″. His YouTube video list is huge, please see a snapshot below. Jeffrey R Wright’s #3DP365Project is not only about printing one item a day but it involves a video creation. Capturing time-lapse and post processing can be time-consuming, we know this from our own experience. His videos are well edited and to the point. Jeffrey does put a lot of work into each one of them. Completing a successful 3D print every day requires a good feel of a 3D printer. Sometimes a quick repair is needed and technical background could help. It is especially interesting for 3D printing community as this project is essentially a torture test for the machine. It proves that in the right hands 3D printers can last long and it is possible to squeeze 100% out of them. Jeffrey is very responsive on social media answering all the comments. Apart from YouTube, you can find Jeffrey on Instagram and Twitter, please see the links below. In his YouTube videos, Jeffrey demonstrates the capability of his 3D printer by making a huge vase and printing the famous hairy lion in an exotic color. By the way, printing the hairy lion was accepted as a challenge from Jay Wall aka PrintThatThing. The vase took 14 hours to complete and Jeffrey promised to print at least one such big item per week. We were worried that this may jeopardize his #3DP365Project, but Jeffrey has reassured us that it should be risk-free if done only once per week. This channel is dedicated to sharing all the fun of 3D printing and learning as we go about printers, filaments, electronics and everything else you can think of relating to the 3D printing world. 27th of April 2017 was the first anniversary of the Print 3D Channel. 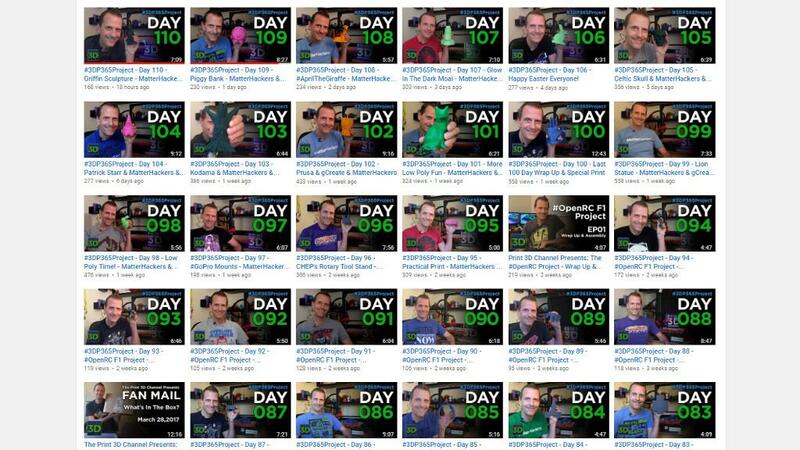 Before Jeffrey started #3DP365Project he has been posting other 3D printing videos for about a year. Now we understand that it was warming up for something big.